Believe it or not, I’m not a regular coffee drinker. You’re more likely to find me at Teavana than Starbucks. Even so, I recently discovered Bulletproof coffee thanks to a friend who shared the recipe and benefits. I can personally attest that this coffee gives you a boost that lasts all morning and half the afternoon. This coffee is rev up your metabolism and tame your appetite. The recipe is very simple but don’t be tempted to modify too much or you’ll lose the benefits. For those of us watching our weight, butter can be scary. After so many years of hearing how bad fat is, I can understand the hesitation. The health industry is finally sharing the truth – fat isn’t bad for you by itself. If you’re a low-carb/ ketogenic follower, you understand what I mean. The key here is to make sure that you’re getting unsalted and grass-fed butter with no added hormones. You can find it in the grocery store and it will cost a bit more than regular butter. The point of adding butter is to satisfy hunger. Your appetite will be suppressed for hours after drinking this coffee. I’ve only used the actual MCT from Bulletproof. Both Coconut Oil or MCT oil will do. However, Coconut Oil may be easier on your pocketbook. You’ll need to brew your coffee. I had never done this before until just a few months ago. I didn’t have a coffee maker so I bought a French press. It was inexpensive and very easy to use. 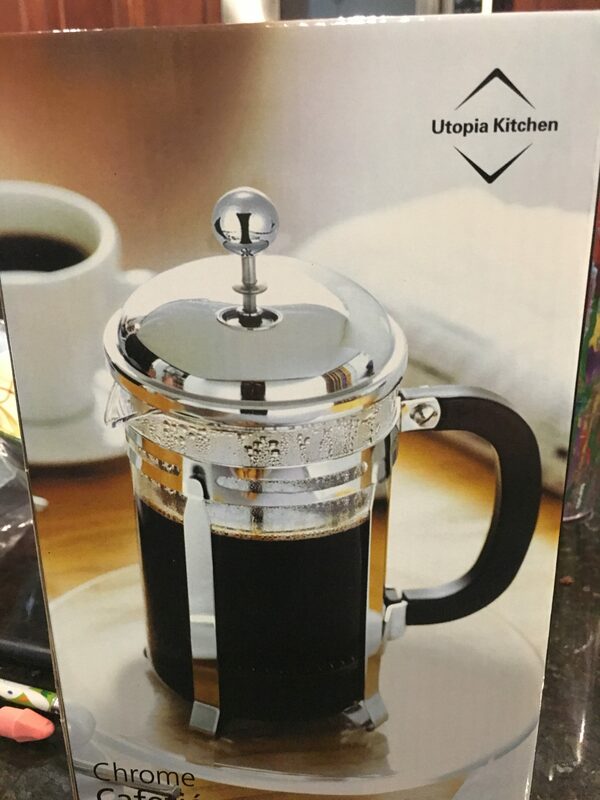 Put brewed coffee, butter and oil in the blender. Make sure the cover is secure because the coffee is hot. Blend and serve. Tea instead of Coffee. 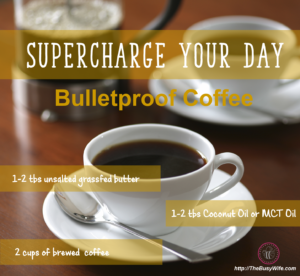 Bulletproof works well with chai but you can experiment with your favorite tea blend. Try a variety of coffee blends. My current favorite is Starbucks Mocha. Add a natural sweetener like Stevia. Don’t add sugar as you’ll lose the low carb effect of this coffee.